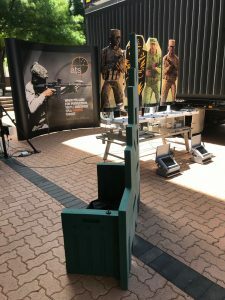 ATS was invited by Army Headquarters to showcase its Live Fire Range in a Box (LFRiB) at Army Innovation Day (AID) 2018 held at ADFA recently. 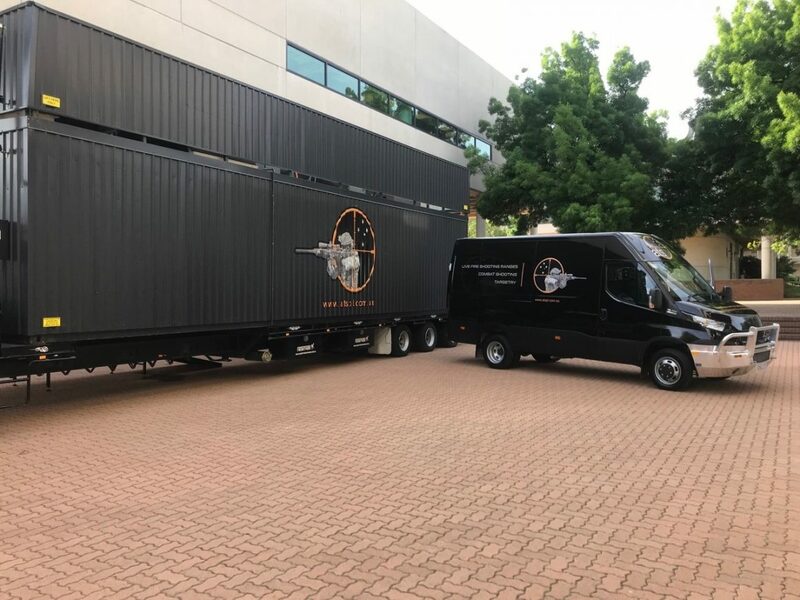 Heralded as an AID success story, the LFRiB is a fully deployable and immersive live fire range fitted with an interactive video target system. The Chief of Army, Lieutenant General Rick Burr, enjoyed the opportunity to engage realistic video scenarios using the new Thales EF88 / F90 EF90 and was exposed to the significant training benefits offered by the LFRiB as a complete capability solution for Army. 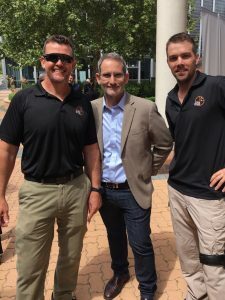 Other notable visitors through the LFRiB included ‘Shark Tank’s’ Steve Baxter, police snipers and members from across the Australian Defence Organisation. Also on display was a variety of ATS target and live fire training solutions, including the world leading Advanced Range Operating System (AROS) that was networked with the dual twin turning friend or foe target system with projectile location technology. ATS was honoured to be part of AID18 and was pleased to have the opportunity to showcase some of its leading edge capabilities.